Home / Awards/News / the dream of an amateur..
the dream of an amateur..
…there is a new look concerning the layering of the pages, the appearance of my portfolio and especially the presentation of my photos. 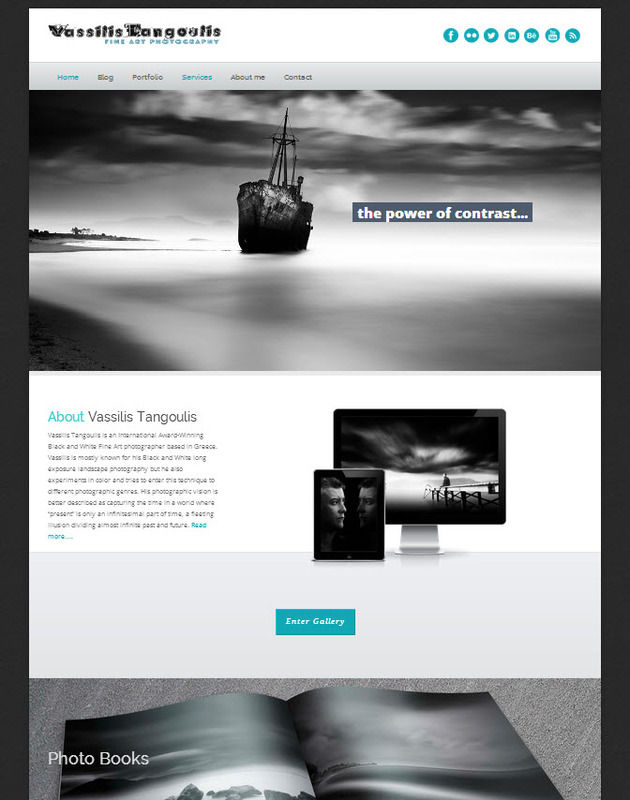 Finally managed to finish the update of my site. There are some more things/updates i need to do but i leave it for later. As you can probably see there is a new look concerning the layering of the pages, the appearance of my portfolio and especially the presentation of my photos. A highly recommended plugin (unfortunately you have to buy it) is the FooBox. Actually this was the reason i did the whole update since my previous wordpress theme had some problems with it. Feel quite comfortable with this new theme and i think i will keep it for quite some time. I did a major update of my portfolio adding my newest collections, updating some old ones, deleting some others. Also decided to present only two color collections since, i think, my “color vision” has changed considerably the last year. I will add soon a post about this new vision when i will describe my latest color photo “never ending journey_the color version”. So stay tuned.. Although “exposure” is the magic word you hear all around about these sites believe it is just an illusion. The skill to process a photo can be learned, the skill to capture your feelings and thoughts in a 2D layer (i.e. photo) is more like a gift from your inner self. What is actually the dream of an amateur photographer? I’ve heard many thoughts on this closely related with public exposure and becoming a successful pro photographer. For me an amateur should stay amateur, at least i will keep it this way. An amateur has the unique privilege to photograph when he/she wants, when he/she feels being in that special mood to express his/her inner world with a picture. This magic moment is gone when you become a pro and you may have to shoot many times you really hate to do that. My dreams are simple and difficult at the same time. I want to master my technique and control my feelings in order to reveal them in my photos..Controlling your mind and soul is always the most important ingredient of a good photo. The skill to process a photo can be learned, the skill to capture your feelings and thoughts in a 2D layer (i.e. photo) is more like a gift from your inner self. Although i try to evolve my processing skills my main concern is to control my feelings and emotions that is why i need motivation to shoot. Public exposure is always a great gift for an amateur photographer. I started last year to participate in international contests and to my surprise i received many recognitions. 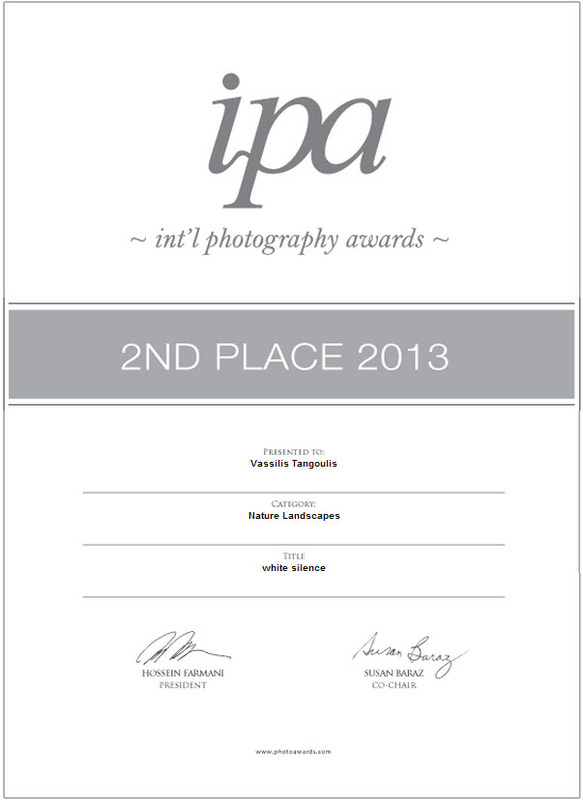 Taking, two years in the row, the Second place in International photography Awards (IPA) is such a great bonus for my work-Last year in Advertising/Self Promotion and this year in Nature/Landscapes. The most important achievement nevertheless is that i took many Honorable Mentions in so different categories like People/Self-Portrait, Architecture, Abstract, Digital Enhancing, Special Panoramic. Although i consider my self as a dedicated landscape photographer i want to evolve my vision and technique to other photographic genres. And having all these prizes is a strong motivation to continue. So i guess these are my dreams, nothing more or nothing less. Last but not least i love to hear the voices of the people looking at my work. This is also a great gift for me and when by any chance i hear words like “your work is inspirational” then i know that being an amateur will be always my main concern. A big welcome to my site and thank you for your visit. The dream of an amateur… I wish prifessionals were as “amateur” as you… Professionalism is a way of thinking, and not a way to make money. Your work has exceeded the level of technical professionalism, and the level of amateur inspiration. Being able to have taken some time from you and some knowledge is an honor. The next level is only a matter if time. Because goals, are only dreams with an expiration date…. thank you for your comments Vassili. I agree about professionalism concerning the way of thinking and stay tuned..there are going to be some workshops near Christmas here in Patras..
glad you like it Costa. Hope we will meet soon! Well done, like your new page. I think you did great job and your recent BW work is very impressive. Fully understand you action with leaving 500px. I also think “exposure” is just an illusion. You are listening all around how important it is and so on. I left almost all similar places. Most of these places are viewed only by photographers. If you are looking for this, then do it. Now i am active on facebook only. Will try behance. Thank you for your visit Roman. When you are doing things you like then being a professional photographer is the ideal situation. But i think you will agree with me that there are times you have to deal with projects (because the clients ask for them) you don’t really like …and you have to do them..I am talking about these situations. And there is always the big frustrating feeling that since this is your job you have to bring money ..Nevertheless the most important thing is to enjoy your work and this is beyond being amateur or pro..This has to do with your passion to photograph…See you around my friend! Bellissime photo, di grande professionalità… – Complimenti!